Two men have been taken to the hospital after a blast reportedly rocked a neighborhood in Austin, Texas. The police have warned residents to stay away from the area. Initial reports suggested there had been two explosions, but police are only confirming one “Bomb Hotshot”call, and county Emergency Medical Service (EMS) say a “critical incident”has left two people injured. The injuries are serious, but not expected to be life-threatening. 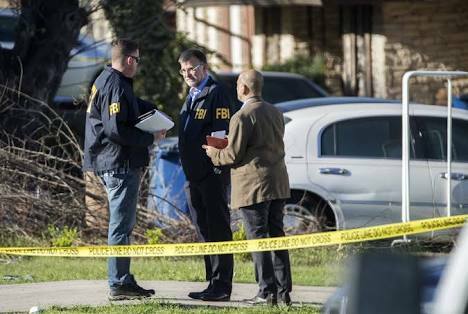 Officials have not yet named the cause of the blast or whether they believe it is connected to the three explosions that took place in Austin earlier this month. The reports of the new explosion come a week after two package bombs went off in the city on Monday morning, killing a 17-year-old local and injuring two women. The teenager inadvertently triggered the device by opening the box after finding it on the steps of his home in a northeast Austin neighborhood, police said. In a separate incident, a 75-year-old woman was “significantly injured”after she opened a box in front of her home in another part of the city, police said on Monday. Both of Monday’s incidents are being linked to an even earlier explosion on March, 2, which killed 39-year-old Anthony Stephan House in the Harris Ridge neighborhood. “We assure you, we are listening and we want to understand what brought you to this point, and we want to listen to you, so please call us,”Austin Police Chief Brian Manley said at a press conference earlier on Sunday. A bounty of $115,000 is being offered for information on the suspect.